Holy guacamole this was inspiring, but I’m a runner, fan of documentaries, and lover of musically backed sweeping drone footage. It’s about Nike’s attempt to break the two-hour marathon barrier. If you don’t know, they got damn close, 2:00:25. Beyond the story, the documentary shows how to get peak performance in the marathon. The 2:00:25 time isn’t an official world record because of the nature of the event. But it was those conditions that led Eliud Kipchoge of Kenya to run faster than anyone in history. As I watched, I wondered, what does it take for my peak performance? An interview with Caroline Webb and Khe Hy planted this seed. In that episode, Webb said she asked CEO’s how often they performed their best. Their answers were disappointing. Webb helps people be better. That’s what Nike tried to do too. That’s what anyone can do. Here’s how. 1/ Do the most important things. To run that far that fast requires you to run far and run fast. Oh, and drink water. When the Nike team showed up at Eliud’s camp they found that he had mostly done this. There was very little the scientists – there were more PhDs than expected – could add to what he was doing. For Lelisa Desisa of Ethiopia and Zersenay Tadese of Eritrea, it was a different story. The former wasn’t running fast enough, the latter wasn’t running far enough. Zersenay also wasn’t drinking water – ever! Even though he’s an Olympic medalist and holds the world record for the half marathon he’d never taken water during a race. These big things are often the low hanging fruit. Because Eliud had gotten these things right there was less to do. After Lelisa and Zersenay made changes they had big improvements in their times. 2/ Conditions matter. 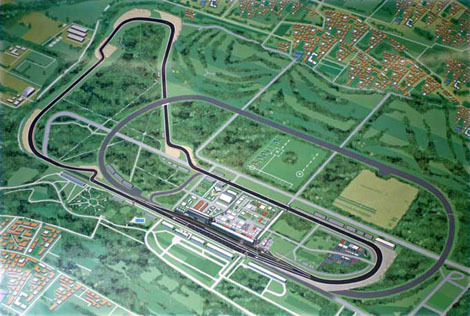 The Breaking2 attempt was made at a Formula 1 track in Monza Italy. A low elevation, cool temperatures, and minimal incline made this difficult challenge slightly easier. Environmental conditions and designs can have large effects. Coca-Cola began in Atlanta when it was ground zero for patent medicines. The Black Soxs threw the 1919 World Series when they were poorly compensated. Milton Hershey cut his teeth making caramel and then had the unique opportunity to make milk chocolate in Pennsylvania dairy country and use the reconstruction railroads to ship his sweets. Conditions matter. 3/ Use data. The Nike scientists measured the runner’s gait, VO2 max, and lactic acid levels. Each measurement gave the team insights into how an athlete could and should perform. Sports are a natural place for gathering data, but the data changes over time. Baseball has gone from batting average to on-base percentage to pitch framing to visual acuity to camaraderie. And, said Jeff Luhnow those things are always changing. Ben Falk adds that some data is better. Knowing how tall a basketball player is easy to measure but difficult to change. Other data points are difficult to measure but easier to change. Data isn’t a panacea but it does help solve problems. 4/ Remember heart. Part of the reason Eliud performed so well was his heart. There are things we can’t measure that still matter. Spreadsheet cells don’t have the elbow room that life requires. His interviews in the doc are inspiring.